Linens can yellow with age in addition to getting stained from usage. Cleaning them must be done properly to avoid damaging the often delicate fabric. 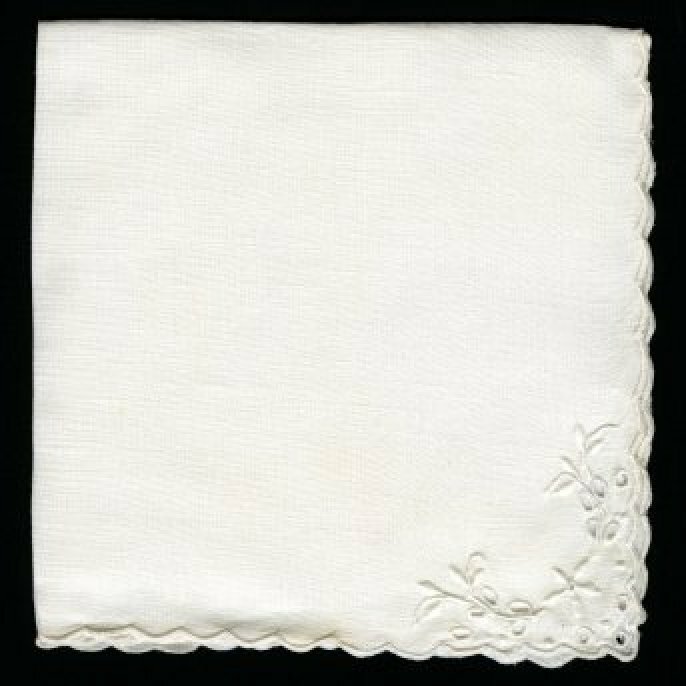 This is a guide about cleaning vintage linens. 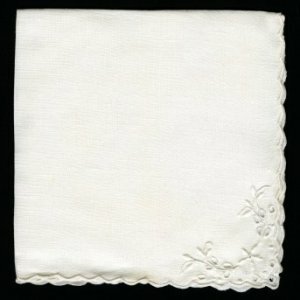 A few decades ago I saw an interview with the Royal Launderer, who said that the Queen's tablecloths were never washed. Instead, they were spot cleaned for stains. He said, with a straight face that they used spit. Imagine being by appointment to her Majesty, the Royal Spitter. Actually, it works on clothes, and my granddaughter's face. This is a very old way to remove stains or whiten natural fabrics. Gently launder then lay item on a lush area of grass in direct sunlight. Somehow the combination of sun and chlorophyll released by grass causes the whitening. If stain is stubborn, lemon juice can be sprayed on spot. 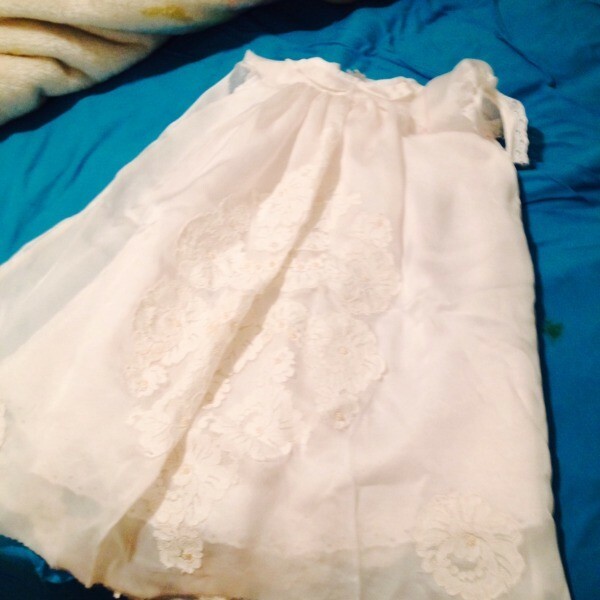 I will be using this method to whiten this christening gown I am making out of my 40 year old wedding dress for my granddaughter. Cleaning your vintage linens that have yellowed with age can be tricky. However, it can be done. First, make sure that the material itself is in good shape. If it is already fraying apart through age, then you may need to consult a professional dry cleaner. But if the material is still sturdy and there are no colors (such as patterns or embroidery) on it, then wet it down and then soak it in a "mild" bleach solution for 1 - 2 hours. Gently squeeze dry and hang it in the sun to dry. Often the combination of the bleach and the sun will brighten and lighten the color, and get rid of that yellow. If there are colors on your material, then do not use bleach. I have found that sometimes soaking in a solution of OxiClean will do the job, again along with drying in the sun. For small stains or yellowed spots sometimes a baking soda paste directly applied to the spot and left to dry will help. Sometimes none of this works, but there are still thrifty alternatives. I have a vintage lace tablecloth that was just too badly yellowed and I could not get it to lighten up. So I chose the solution of actually dyeing it a light yellow, and giving it a new life as a colored table covering. And I have had many compliments over the years on my sunshine-colored lace tablecloth! Another solution is cover-up. If there are small spots and stains that won't come out try embroidering a small design on the piece and make sure your handiwork covers up the stains! My granddaughters like to embroider and we have done a few examples of this type of repair/cover-up together. And then you have a vintage piece with even more meaning. As my own mother taught me, a little bit of cleaning and ingenuity can go a long way. Some professionals use Orvus. You can order online or visit a feed store. I desperately need help getting a grease stain out of a very delicate and very expensive hand embroidered table cloth, and I can't find a solution in any of the books I've found. I would like to know if there's any way you can put me in contact with Linda Cobb, "the queen of clean" to see if she can guide me. Thank you for your time. Editor's Note: We have no relationship with the "Queen of Clean" and I didn't see anything on her website for questions. The website is http://www.queenofclean.com. Baby powder put on liberally will work. You do have to let it sit for a few days. While visiting a friend, her dog buried a fried piece of chicken in my suitcase getting grease stains all over a silk blouse. In this case, I put the powder on, shook it off after a few days and reapplied the powder. Somethings will do well with just one application of baby powder but you can usually tell by how it looks when you shake the powder off. Sometimes, I have put it both on the front of the stain and the back of the stain. I've never had it to fail. The best thing I've ever found for taking out grease stains is to rub some regular Crisco into the stain and then wash the item as you usually do. This works on auto grease, so it should work on other greases. If the cloth is washable at all I would try Dawn dish liquid.If it won't harm sea birds & animals when they use it to get Crude Oil off of them after a spill I'd trust it with anything I own that is washable.& I'd try to just wash the greasy area,of course by hand getting as little ouside the area as possible. But I'm putting the Baby powder suggestion in my Mental file.I can't do the crisco thing,I'm allergic to it. She has a web site, I think it www.queenofclean.com if that isn't it go to www.azfamily.com she has a link there. She started on a local tv channel and has a spot once a week saw her this morning. Good luck, if you can't find it I will check back tomorrow and maybe I can help get it. How do I remove a yellow fold line from a table linen that has been stored for 30 years? The yellowing is only on the folded portion. I have tried bleach, ammonia, Era, and Oxy to no avail. This is a cotton/polyester blend that has been in the family for over 50 years and I would like to use it at my daughter's wedding. Wet it with white vinegar, put in sunshine. Do this over & over till the stain is gone. I do this on white wedding gown. It works, good luck. Try soaking in a small sink with 1 part water to 1 part hydrogen peroxide 3% (the kind you can get really cheap at a drug store, comes in dark brown bottles). Wear gloves! This can be very drying to skin. Soak for about 15 minutes and gently aggitate every few minutes. Gently wring out, then hang in the sunshine to dry for at least 4 hours. You may have to repeat this several times, but sunshine is the key. Hydrogen peroxide is a natural, but gentle, bleach and works best in the sun. If this doesn't work the first time, you might try gently dabbing some hydrogen peroxide directly on the darkest yellow stains, allow to soak for 15 minutes, then wash the same as above. Be warned that this could degrade/break down the fabric. Try in an inconspicuous place first. If nothing else works, I've read that denture cleaning tablets will do the trick. Good Luck! I've also heard of using lemon juice and placing in the sunlight which would be the same as using vinegar. Would also like to know. My wedding dress hung on a metal hanger with no air conditioning or climate control for 32 years and the hanger rusted on the shoulders. Help!! I haven't tried it (cause I can't find it!) but my mother tells me there is a product called Wink that will remove rust. She lives in Mississippi and I'm on the west coast so maybe it's only found over there...I need to try it on some vintage table runners. I did have fairly good results with OxyClean. I soaked it in hot water for a day, rinsed, washed by hand and hung to dry. Most of the stains are gone.